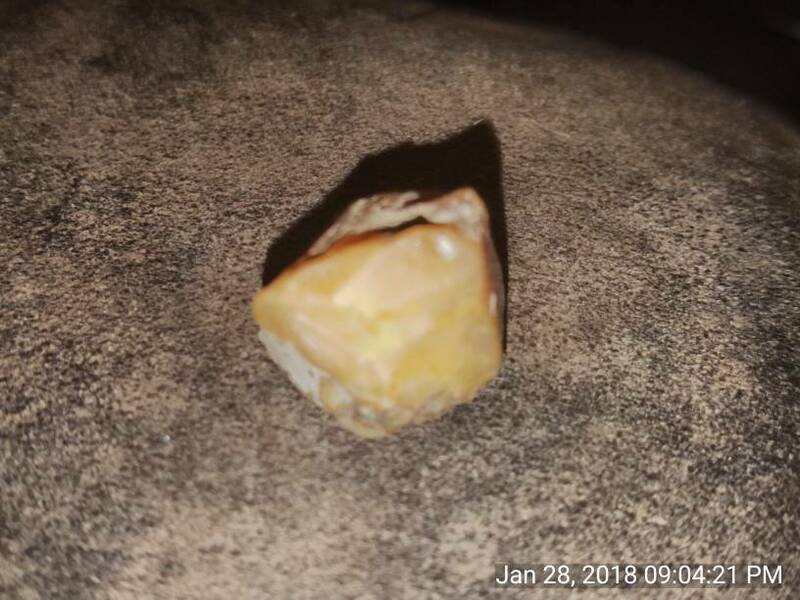 This was found in Amity, AR. It seems to be opaque. It definitely has facets. 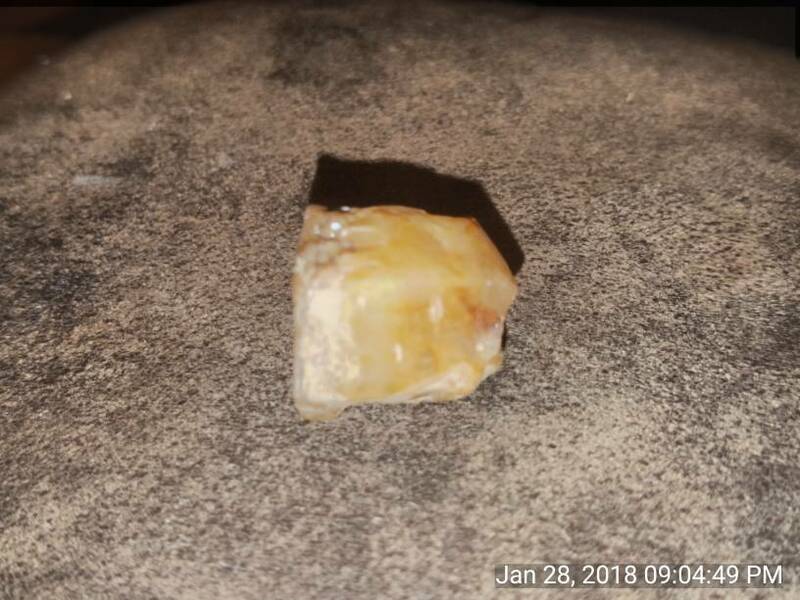 I assume it is some sort of quartz. Re: What have I here? It looks like the base of a quartz crystal. If it is harder, I agree that quartz is possible. Not enough faces of the crystal showing to take a good guess, but from that area barite, siderite and stibiconite are also possibilities. It looks like it could be quartz with iron (aka hematite) inclusions. 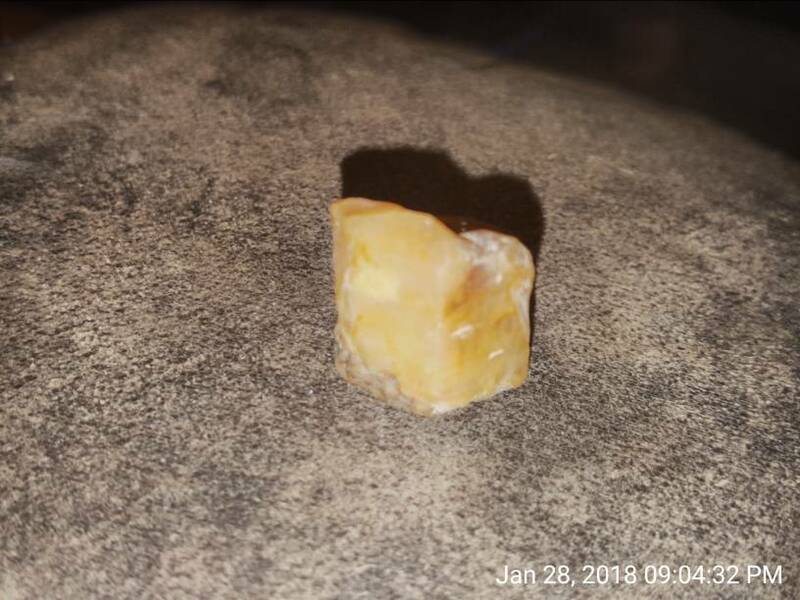 My second guess would be orange calcite.